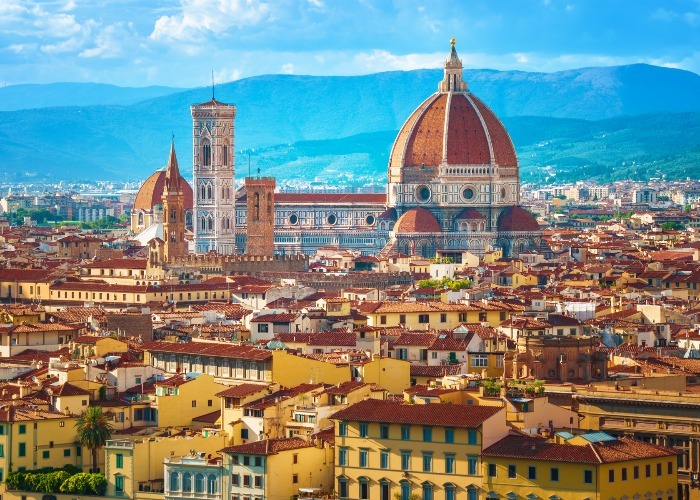 Italy has long been a holiday hot spot, and with its sunny climate, world-famous cuisine and striking scenery, it’s not difficult to see why. For a lock-up-and-leave home that'll deliver a pretty payback, you can count on Florence. This stunning Italian city has a thriving arts scene, iconic architecture and a wealth of world-class trattorias and coffee bars spilling out onto its idyllic cobbled streets. Nestled on the banks of the River Arno in Tuscany, Florence is a surprisingly compact city, so it’s easily walkable for a short city break. Living costs are also relatively low, so this could be a pretty affordable spot for a home away from home. With Florence airport super handy and the rolling Tuscan countryside just a stone's throw from the city, this is a location you'll be longing to come back to year after year. 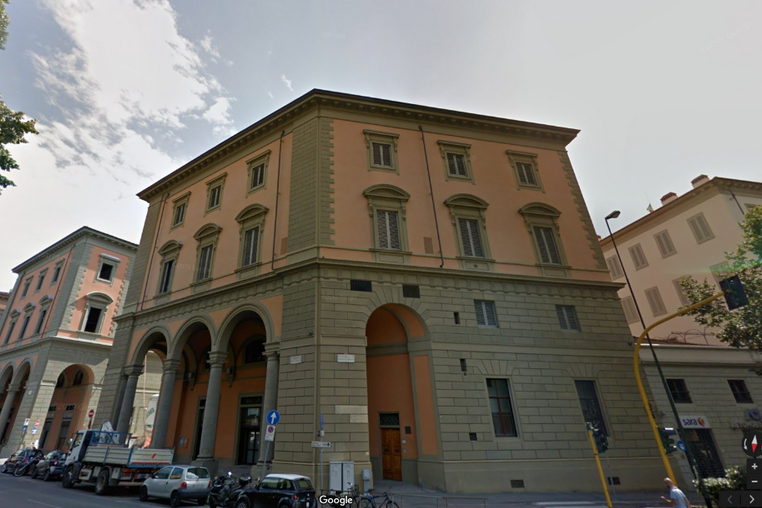 The long rental season is very reliable in this firm tourist favourite, so you could make excellent returns on a base in Florence. It’s slightly steep for a one-bed flat, but this beautifully restored duplex home is situated in a gorgeous 19th-century building in the heart of Florence. A wonderfully light and airy property, it comprises an entrance hall, a living room with an open kitchen, a bedroom, two bathrooms and a spacious terrace. Upstairs are two mezzanines that are large enough to use as further living spaces. 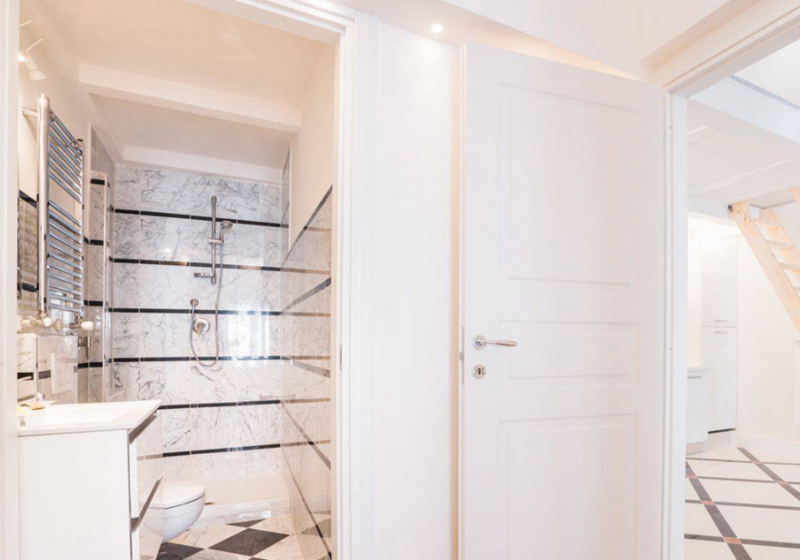 The flat's finish is undeniably elegant, with marble tiles, built-in storage and an abundance of mood lighting. Our favourite part? The charming frescoed ceiling of course! On Rightmove for €390,000 (£337k) with Victoria House. If you’re after a suitably stylish pad for your Florence base, look no further than this gorgeous three-bed apartment in the historic centre of the city. Serviced by a lift, accommodation stretches across the fourth and fifth floors of the property and includes an entrance hall, living room, kitchenette, three bedrooms and a bathroom. From the beamed ceilings to the glossy kitchen units and high-design light fixtures, we reckon this stunning apartment isn't likely to hang around long. 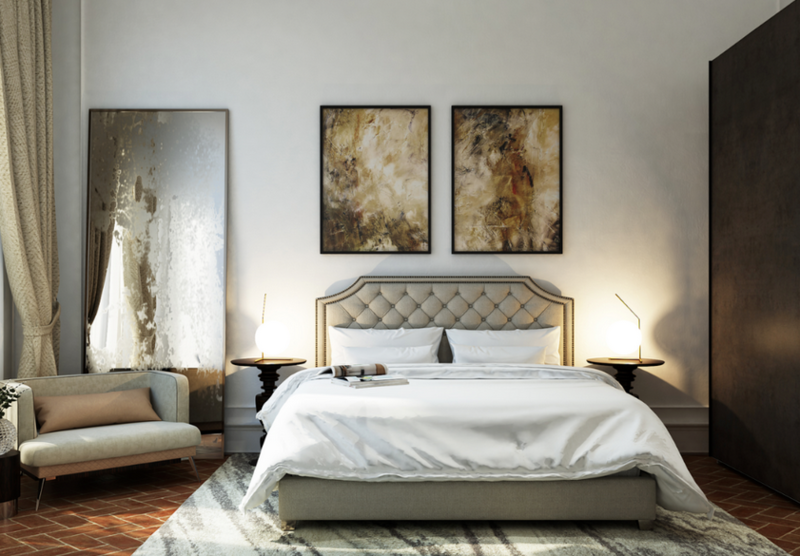 Currently undergoing renovation works, there will also be one and two-bedroom apartments available in the building. On Rightmove for €390,000 with Victoria House. 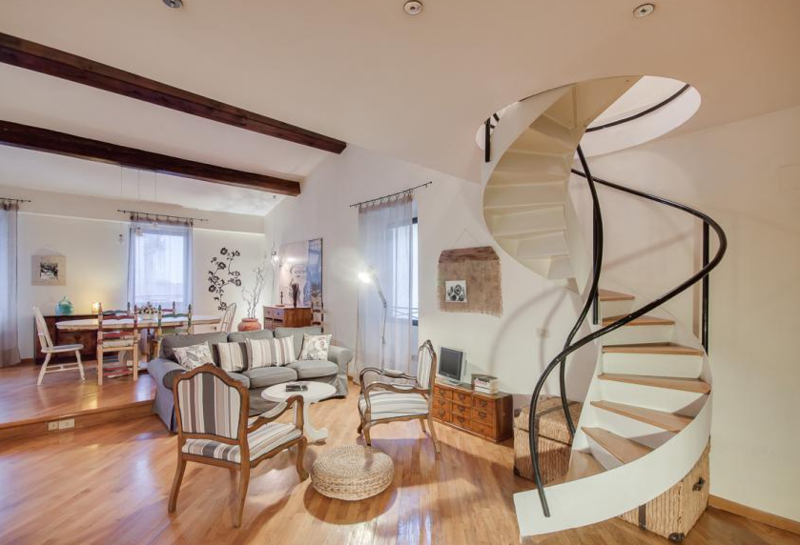 A short walk from Piazza del Duomo, this handsomely decorated three-bed flat is a real find. 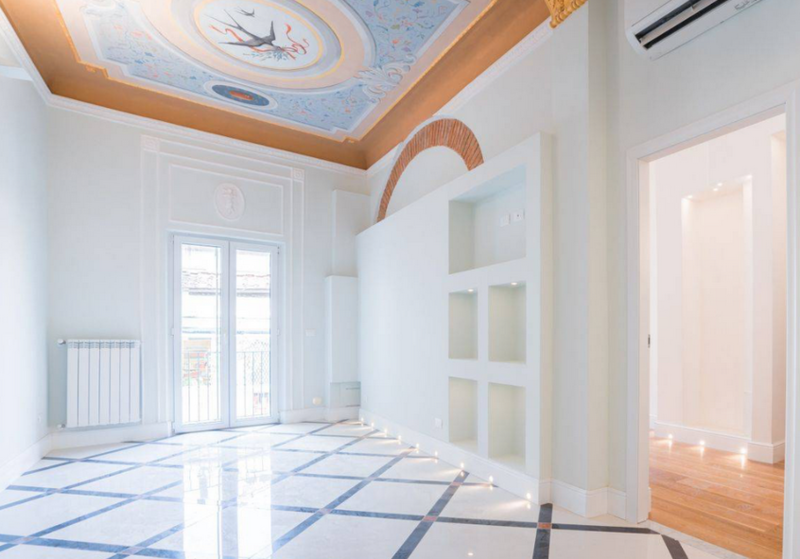 Found on the third floor of an attractive building on Via Faenza, the property is arranged over two levels, separated by a fabulous spiral staircase. 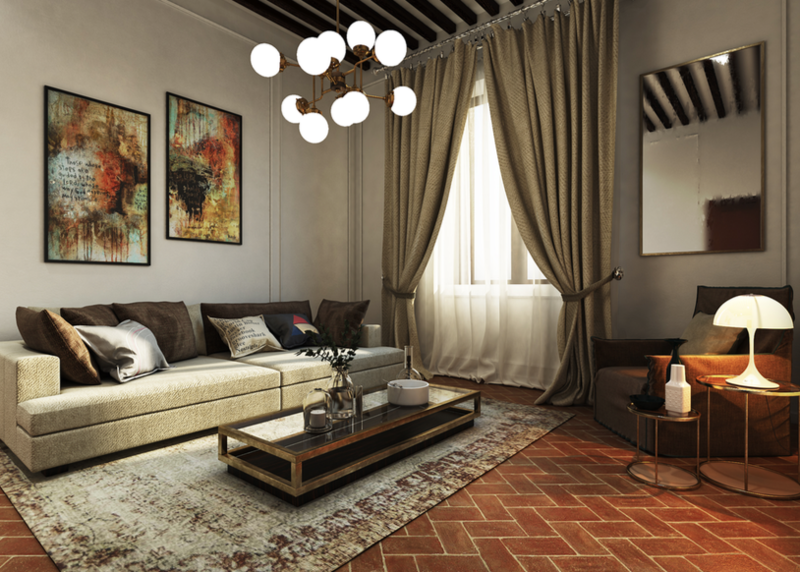 On the first floor you’ll find a generous living room, double bedroom, kitchen, and a bathroom, while upstairs on the second floor are a further two bedrooms and a second bathroom. However, our favourite feature has to be the magnificent views glimpsed from the terrace. 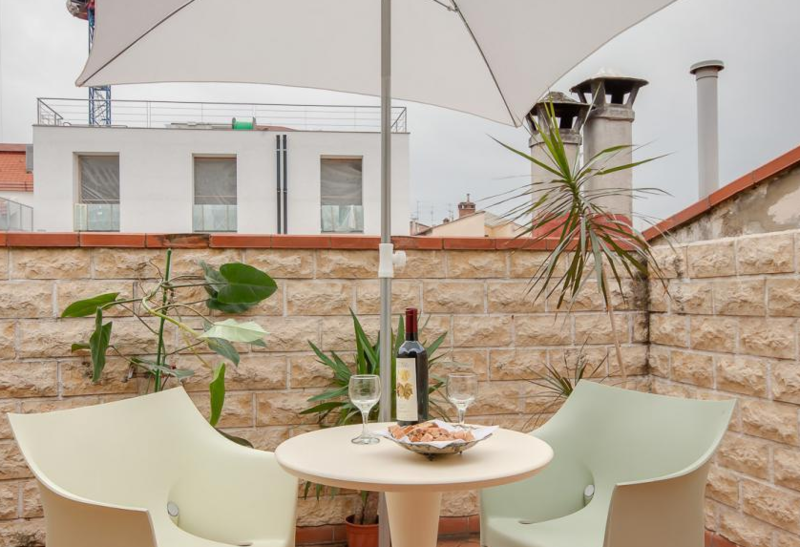 Already a hit on the tourist rental market, this is a ready-made home with great potential for extra income. On Rightmove for €575,000 (£497k) with Dimore Fiorentine. If being in the heart of the city isn’t for you, how about this quintessentially Italian farmhouse just 20 minutes from the centre of Florence? Nestled amongst olive trees and miles of tranquil countryside, this unique property even comes with a historic chapel attached. Living space is plentiful and finished to a high standard, with four bedrooms, four bathrooms, a spacious kitchen and a dining room with an impressive vaulted ceiling. This exquisite home is bursting with architectural marvels, from intricate frescoes to original roof beams and carved doorways. Outside, there's plenty of space to enjoy the idyllic surroundings, with not one but two gardens. This charming villa is on the market for €790,000 (£682k) with Sotheby's International Realty.